These three forms of instruction are interesting to me. I like things that try and disrupt the status quo and I am inspired by educators who want to adapt and change “the way we do things” in line with new thinking and new technology, and with the needs of the students in mind. I think this is a no-brainer and yet I still think it gets a bad reputation from teachers and parents who really don’t understand how to use it. 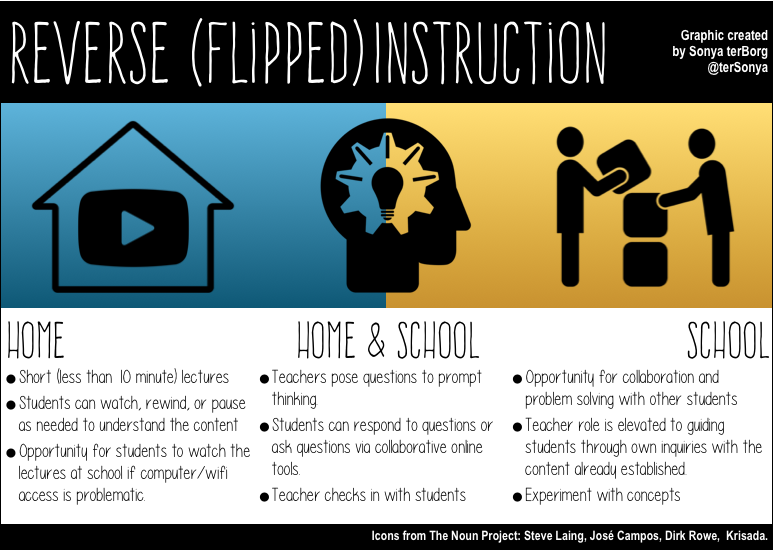 I am a massive fan of the Khan Academy and while it didn’t start the flipped learning idea, it certainly has provided educators with an enormous supply of quality videos to support learning. I really don’t enjoy being lectured at. So I try not to do it to my students. What I do instead is either make or find videos that explain the things we will be working on. An example would be blogging with my fourth graders. When it came to adding media, there were so many options and some with many steps and I knew I was dealing with a huge range in terms of experience and ‘comfortableness’ with technology. Some kids are super happy to plug at it until they figure it out themselves, others want step-by-step instructions. So I tried to cater to both: I began the lesson by outlining the goals (to embed photos and videos into a blog post) and immediately gave kids the option of giving it a go themselves – to ‘sandbox’ the task on their own or with others. The other options were to use my blog as a tutorial service and stop, pause, rewind the videos whilst giving it a go. The other option was to sit with me and follow along while I walked through a ‘real life’ tutorial.The videos were posted prior to the lesson which meant students had the option of viewing them prior to the lesson as well (hence the large number who chose to go it alone). I think it is a MUCH more productive use of time for the lecture portion of the lesson to be delivered via video. It doesn’t take long to flip open PhotoBooth and take a video or open QuickTime and make a screen recording. Yes, there are concerns that students won’t watch the videos at home but they can still watch them in class and then make a choice about how to proceed. One of the claims made by critics of the Khan Academy is that Sal Khan wants to replace all teachers with computers. This is absolutely not true. What Sal wants to do is elevate the role of the teacher. He believes that teachers should do more than lecture – they should plan learning experiences that allow students to delve deeper in their understanding of concepts. I love this idea. Is it more work to plan engaging learning provocations and opportunities for collaborative and individual projects? Yes! But is it worth it? Absolutely. 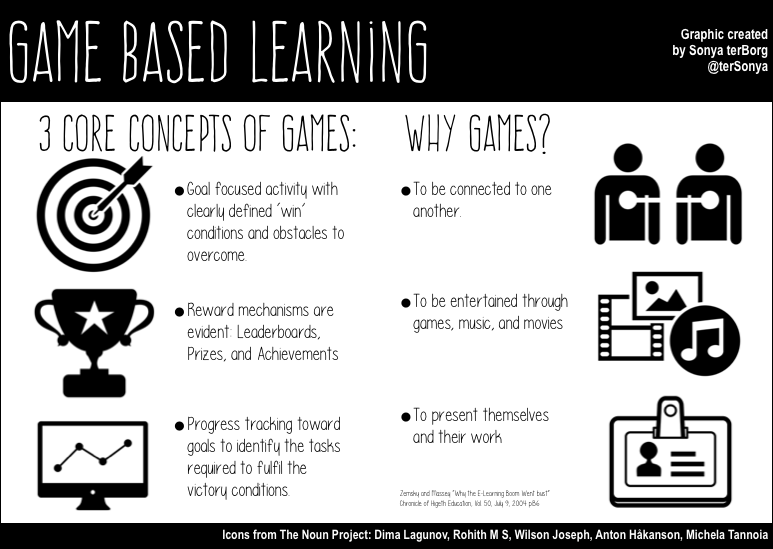 The Khan Academy is the platform with which I have the most experience in terms of Game Based Learning. I have used it since 2007 with 3rd graders in Japan. It has evolved a lot since then and it is (to me) a no-brainer inclusion in anyone’s math education. 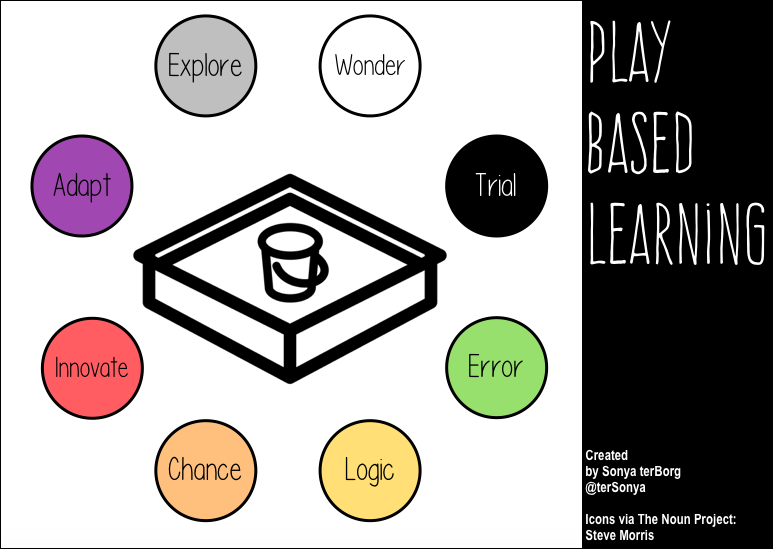 I learned a lot about “the sandbox” and play based learning from Jocelyn Sutherland at the ECIS Technology Conference. In Wired Child, you will find a common-sense guide rooted in the science of behavior and brain function to build the strong families kids need, promote their success in school, limit kids’ risk of developing a video game/Internet addiction, and encourage their productive use of technology. For me, since having a child and thus my own little observation piece of how children learn through play, I can definitely see the value in things such as perseverance, trial and error, and adaptation. Our daughter plays with Duplo, blocks, trucks, puzzles, dolls, coins, paper and markers, water, sand, paint, books, and (her favorite) our paper recycling box of egg cartons, boxes, and newspapers. She can also grab a phone off the table and without needing the passcode, swipe up the camera app and take a few (thousand) photos and a couple of videos too. She knows how to select another episode on Netflix and will do almost anything for a video with dogs, babies, or MacGyver in it. And she just turned 2 on Saturday. We do (I think) a pretty good job of balancing her digital life. As I am upstairs working, my husband and daughter are spinning in the egg chair and building a fort in the playroom. She fell asleep in her dad’s arms this morning while he was watching TopGear. We sat down and flicked through photos of my new nephew on Facebook. We snuggled in bed this morning (and last night) and read book after book. My point: I think there is a place for technology in a child’s play-based world. I think the introduction and use of technology can be woven in with the introduction and use of low-tech tools as well. And I think that as parents and teachers, we need to be open to ensuring a balance of both in our children’s lives. 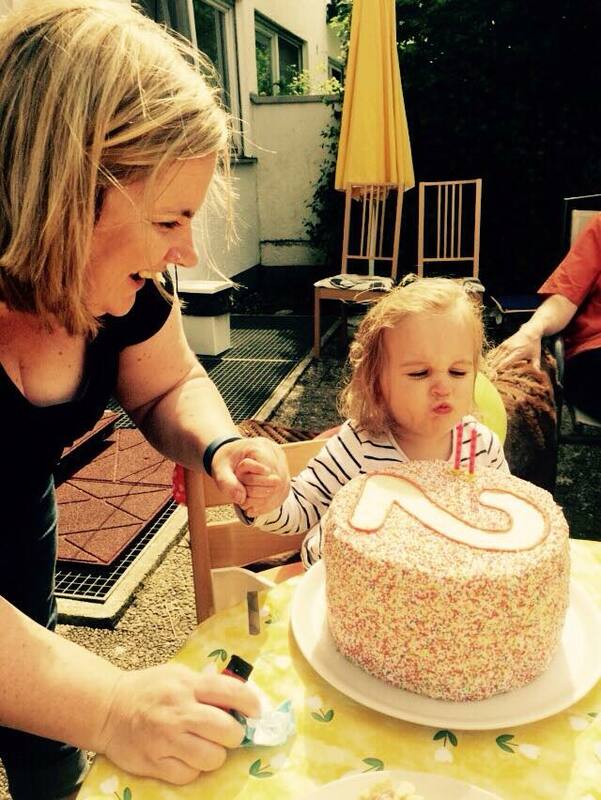 Totally unrelated but incredibly gorgeous shot of my sweet girl, determined to blow those two candles OUT!